The ultimate accessory for the iPhone 7 and iPhone 7 Plus, the 3SIXT Bluetooth Studio Earbuds keep the music playing without the need for a headphone jack. The 3SIXT Bluetooth Studio Earbuds are a must-have. Featuring the latest Bluetooth 4.1 and CVC6.0 noise cancellation technology, the earbuds offer fast pairing with Bluetooth enabled smartphones, tablets and mobile devices, pumping out impressive deep bass and treble even in the loudest of environments. 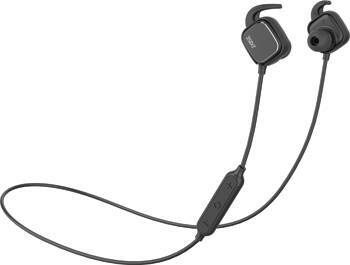 The ultra-lightweight Bluetooth Studio Buds come with Gel Ear Buds and Ear Clips, designed for comfort and durability. With all these fantastic features, the 3SIX T Bluetooth Studio Earbuds are the ultimate in wireless productivity and entertainment. The 3SIXT Bluetooth Studio Earbuds are now available for $79.95 AUD from Optus, Vodafone, Virgin Mobile and Telstra stores.